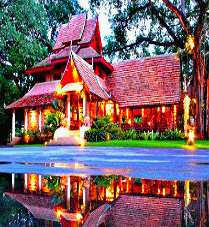 Thailand is one of the most visited tourist destination in the world and it offers all types of accommodation options ranging from budget hostels to luxury hotels. 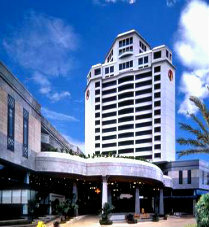 Here is a list of the most popular hotels in the country. 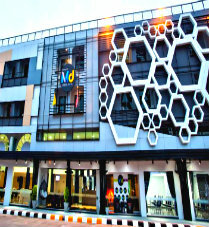 Beautiful eye-catching designing with on-site restaurant & bar plus many complementary facilities, makes Prajaktra Design Hotel a desired and a wholesome package. This hotel has 16 rooms clubbed with an indoor as well as outdoor pool and has been recently refurbished to meet the demands of its visitors and provide better services. Designed with the touch of Eastern art, this hotel serves with a wide range of facilities to make its visitors stay a pleasant and a peaceful one with an overall relaxing experience. The Paradise Hotel offers plenty of guest rooms with extraordinary services. 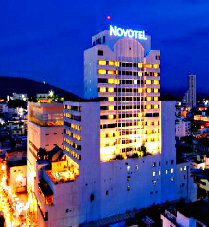 It’s a sophisticated hotel and the rooms over here have a colorful accent and include all the basic amenities. All 23 rooms offered by Excella cover free WIFI, a refrigerator, a dining area and in some cases a seating area is also available; free breakfast and free parking make it a worthy option. 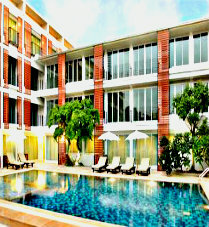 It offers rooms under superior and deluxe categories which come covered with a TV, seating area and refrigerator; an onsite restaurant named Luan Thong Restaurant remains open all day. This hotel is a decent package, offers a 24 hour front desk, free WiFi and all of its 79 rooms are fitted with a TV, minibar and comfortable seating area; an on-site restaurant is also available. 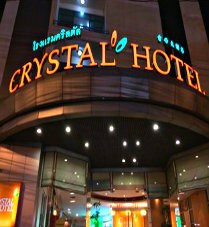 Fifteen minutes away from Ubon Ratchathani International Airport, this hotel have an exquisite interior and all rooms come equipped with a cable TV, free WiFi, minibar and air-conditioning. 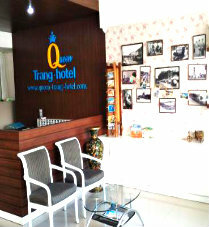 Located close to the Clock Tower, Trang Hotel rooms provide a balcony, flat-screen TV and refrigerator, in all the room categories available- namely standard, family and two-bedroom suite. 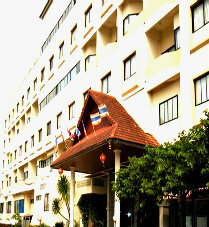 15 minutes away from Trang Airport, Rua Rasada Budget Hotel offers a tennis court, free parking and has a modern décor; all of its 60 rooms include facilities like TV and a refrigerator. It offers elegantly decorated rooms equipped with facilities like TV, air-conditioning, a fridge and a mini-bar; offered room types include Deluxe double and Superior Double. This hotel offers on-site restaurant, free WiFi, a swimming pool and a fitness center, in addition to three room categories namely Superior, Junior and Deluxe. 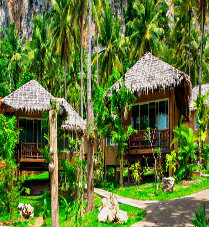 Encapsulating the beauty of surrounding tropical forest, this resort serves with simple range of quality services and comprises of rooms built in a contemporary Thai decor. 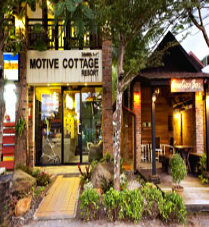 Surrounded by market, food streets and cafes, It’s a beautiful small cottage hotel. 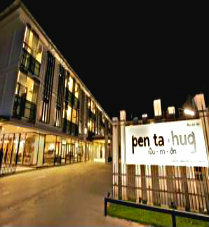 It provides its customers an over-whelming services, spacious rooms, Tasty breakfast and all the other facilities. This hotel is designed in an old, contemporary Thai theme with bricks and wood and serves with rooms having a warm welcoming gesture. It also offers one unique floating room. 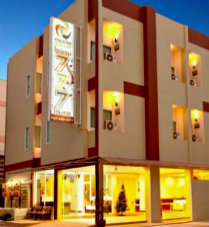 Providing just the basic services, this hotel offers variety of rooms ranging from rooms with ceiling fan and the other one’s with air-conditioning. The luxury apartment hotel offers amazing views of the beach while boasting stylish and spacious bedrooms. 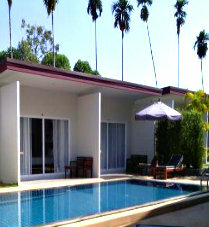 Facilities include sauna, bowling alley, tennis courts and 2 outdoor pools. 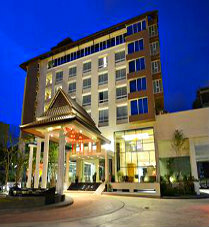 The hotel is situated in the heart of Rayong and boasts stylish, modern and fully furnished rooms and suites. 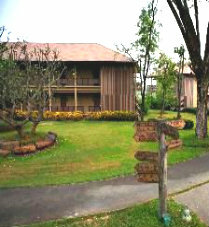 A fitness center, indoor swimming pool and conference facility are available. 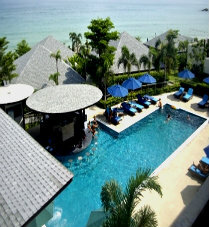 7 km from Saengchan Beach, the hotel features a relaxed decor and rooms equipped with televisions and mini-fridges. Amenities include a coffee shop, a restaurant and a karaoke lounge. 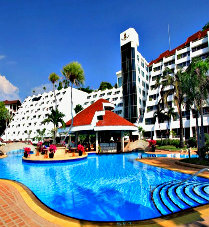 A 5-minute drive from sandy beaches, the hotel features spacious rooms, an outdoor swimming pool and free Wi-Fi. 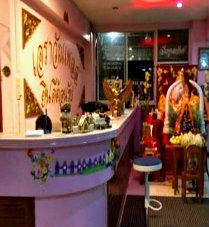 The on-site restaurant serves Thai, Chinese and European dishes. 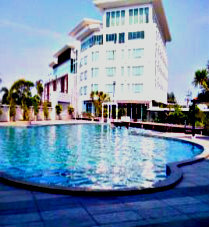 This hotel tends to provide perfection without any compromise. 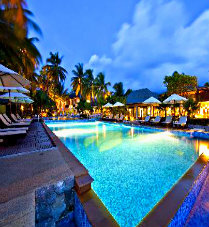 Located on the world’s most romantic beach, Kata Rocks serves with concierge-style services. Concept of “all suites, all private” is followed by this hotel, providing luxury rooms with plenty of private space, that features a beautiful view of the Andaman sea. 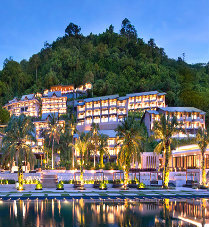 This hotel exhibits a Thai art style, providing spacious rooms with private terrace featuring a beautiful view of tropical gardens and free-form swimming pools. Located on a terraced hill, this hotel has a contemporary design. 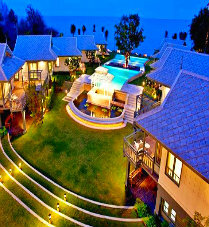 Providing all the basic amenities, it also facilitates a beautiful panoramic view of Phuket’s luxurious hills. 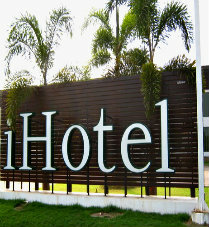 A budget-oriented hotel offering 96 rooms with balconies and all basic services and amenities. Surrounded by Night Bazaar and cafes, it facilitates a wide variety of street food and drinks. 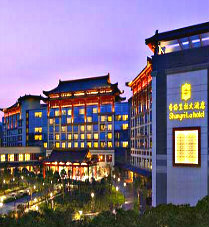 Enclosing Beautiful park and Lotus ponds, this Hotel offers magnificent rooms and over-whelming services accompanied by all the basic amenities and numerous complimentary services. 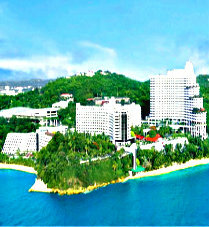 Situated on the lagoon, it offers rooms with balconies facilitating a beautiful view. 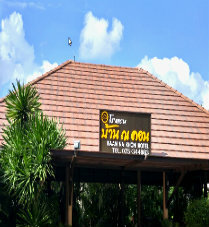 with clean pools, spacious rooms and friendly staff, a stay at this place seems to be a great experience. This hotel provides spacious rooms with all the basic amenities & free WiFi; rooms are neat and clean and are facilitated by a friendly helpful staff. 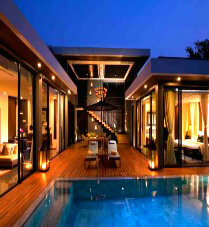 Being an Icon of Luxury, it encloses the essence of Thai with a blend of modern conveniences. 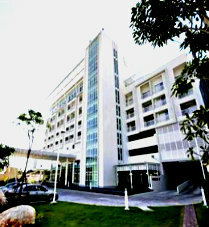 Also, it offers a host of facilities, ensuring a comfortable stay and a deluxe experience. Offering a beautiful view of the Gulf and the nearby tropical island, this hotel is a blend of Thai and Asian style Decor, facilitating both comfort as well as pleasure. 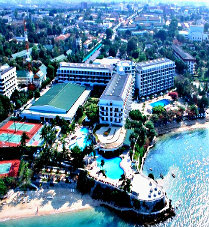 Being one of the few hotels that have their own private beach, this hotel provides a luxury experience with a peaceful atmosphere, located at just a few minutes drive from the city center. While being surrounded by the tropical ambiance, this hotel boasts one of the best ocean views and is also an award-winning wine cellar. It offers rooms under deluxe, standard and superior categories and well known for its room service, recreational spots like the golf course and a garden plus free WiFi and car parking. With five room types on offer, this place is an epitome of comfort with the provision of facilities like free WIFI, 24-hour front desk plus the availability of on-site ATMs/cash machines. 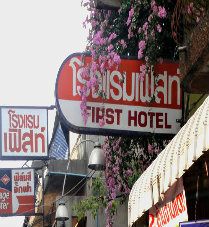 Thsi hotel offers double, twin bed and VIP rooms along with a laundry service, a garden for recreation, free WIFI plus parking in addition to ‘free-stay’ policy for 0 to 12-year-olds. In addition to ’24-hour’ desk, an on-site bar and restaurant, this hotel provides well-packaged rooms under Deluxe, Junior or Superior categories plus a fitness center and games room. Reasonably priced, it is known for its friendly staff and spacious rooms plus facilities like free breakfast and free WiFi; a car comes handy as it is away from major attractions. 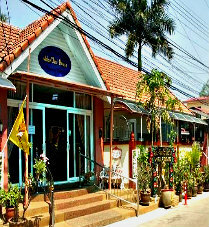 15 minutes from ‘Third Thai-Lao Friendship Village’, this Child-friendly hotel is extra-ordinary when it comes to well-packaged rooms covering a free breakfast and free WiFi. It offers spacious rooms with standard facilities which cover a bakery, fitness and karaoke rooms with add-on bonuses like frequent room service, laundry and free car parking. It offers rooms each equipped with TV, air conditioning and a balcony et al plus add-ons like free WIFI and free parking; 24 hour front desk and laundry services are also available. With its big terrace which offers a panoramic view of the city, this place is a dream with its free WIFI and TV studded rooms; free parking and 24 hour front desk is available. 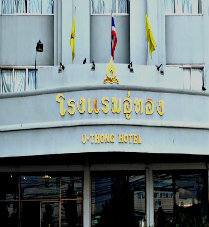 Located at the center of Mae Sot, it offers both normal and A/C rooms and is the closest to the place from where songthaew(s) depart for Umphang; price ranges from 200-500 Baht/room. 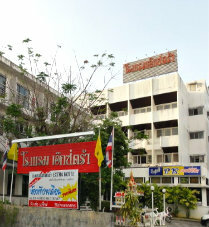 This 3-storey building is well equipped with fans as well as air conditioning; close to numerous restaurants, shops and even a laundry, this hotel also offers bicycles at 30 Baht/ bicycle. 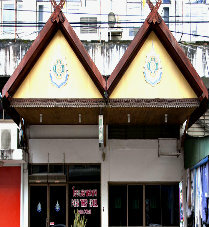 Located next to Mae Sot Police station, furnished with odd teak carvings of dragons and demons, this place is odd yet refreshing; rent per night varies from 500-600 Baht. 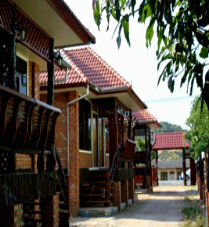 This hotel is comprised of private deluxe cottages offering supreme privacy and comfort. 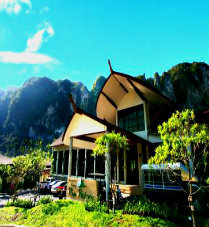 Being surrounded by limestone cliff, it represents a magnificent nature-made beauty. 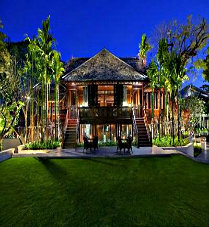 This hotel is designed in a Traditional Thai contemporary style having wooden floors and offers 25 villas with all the thoughtful amenities. This resort promises to deliver a romantic vacation and is crafted with an innovative Asian/ modern decor and is surrounded by a beautiful Tropical garden setting. 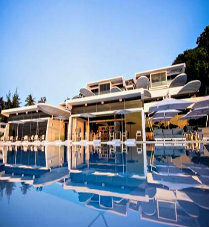 Surrounded by the natural beauty, it facilitates with a stylish, five-star accommodation. 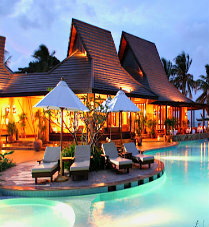 This hotel is a perfect destination for honeymoon couples. This resort has 79 beautifully crafted guestrooms providing all the luxurious services with basic amenities along with a relaxing atmosphere. 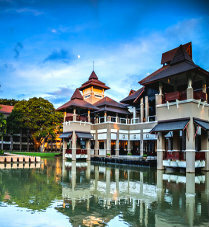 Being a 5-Star hotel, it offers a relaxing ambiance by creating a blend of traditional Thai Architecture and ultra-modern standard facilities. Enclosed by greenery, this resort sits on a hill overlooking a white sandy beach and promises a beautiful view of the island and a luxurious stay. Surrounded by tropical gardens, this hotel provides the most luxurious and secluded services assuring its customers a comfortable stay. Overlooking the Chi River, Wishing Tree resort is ensconced in a peaceful ambiance. 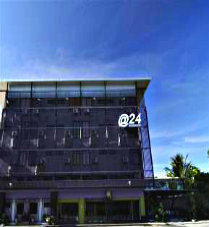 It offers suites with subdued decor and terraces and provides numerous customer-oriented services. 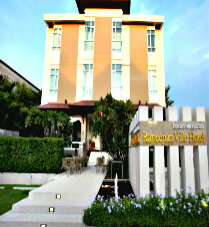 This refined hotel is beautifully crafted with traditional decor and offers elegant rooms with a good ambiance. 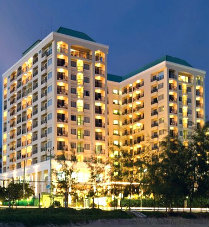 It provides all the customer-oriented and luxurious amenities. This hotel offers 72 rooms, all with different styles and themes, so that if a visitor comes back, he goes through a new experience. 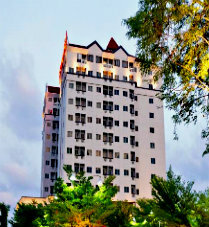 Strategically located, it offers all the standard facilities. 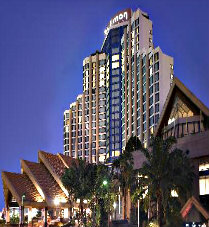 It has rooms designed in a contemporary design and encloses 7 elegant restaurants & 3 lounges. 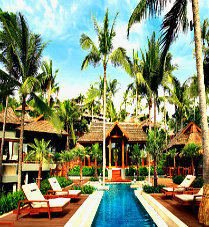 It provides many complementary services and ensures an utmost luxurious experience. 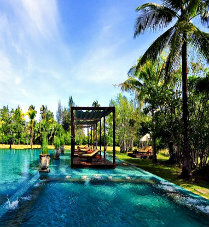 Designed in an Oriental Style, this resort is surrounded by a lagoon flourished with flora and fauna. 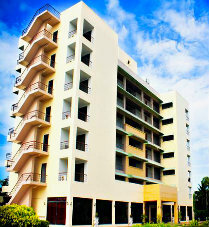 It merges all the basic amenities with the peaceful surrounding and nature. 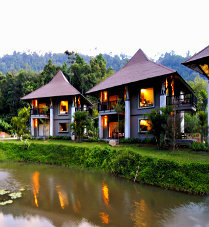 This small romantic resort has 30 rooms, surrounded by beautiful nature. 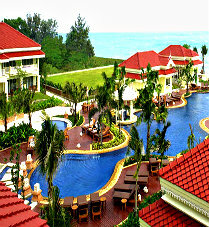 Situated just a few steps from the seashore, it facilitates a beautiful view and a peaceful ambiance. Comprised of 138 rooms and villas, this place is strategically located for exploring more of nearby attractions and is beautifully crafted with dark wooden furniture with accents of gold. 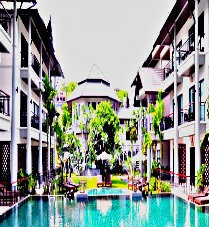 Suites over here are divided into 4 categories: Sarojin, garden, 2 BHK and pool. 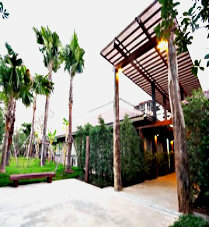 This hotel show casts the traditional Thai style and is perfectly crafted with light exposed wooden work. It comprises of 13 two and three bedroom Villas offering relaxed and a private atmosphere enclosed by ultra luxurious surrounding. 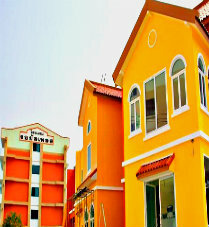 V Villas acts like a home, away from home. 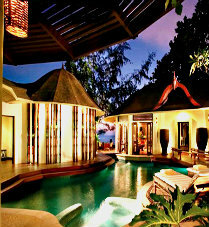 It is comprised of 13 two and three bedroom Villas, serving with relaxed and a private atmosphere enclosed by luxurious surroundings. 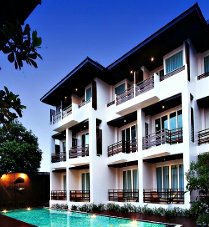 V Villas acts like a home, away from home. 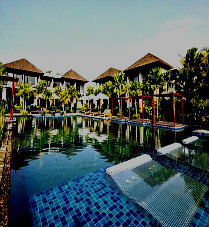 It is an all suite hotel, each suite having access to wooden desks and private pool. 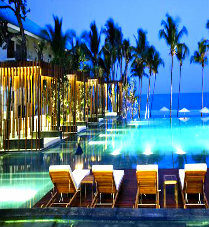 It provides the service of beach bar and beach dining, Thai boxing and also serves with cooking classes. This beachfront hotel features terraces with a beautiful sea view. 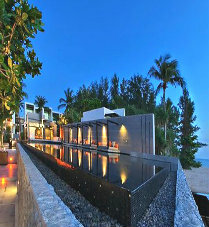 Having a private beach and an outdoor saltwater pool, it serves with one of the most luxurious experience. 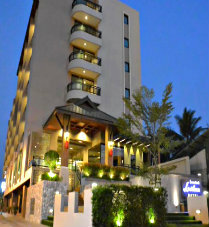 It offers ultra spacious rooms with peaceful ambiance and a pleasant staff. 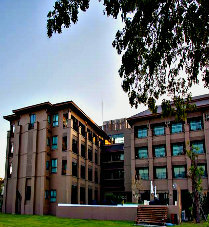 The rooms are comprised of large sized beds, air conditioning, spacious washrooms and all the other facilities. Crafted beautifully with pleasing decor and nice details, this hotel serves with luxurious and a very clean accommodation accompanied by a pleasant staff and a hipster cafe. 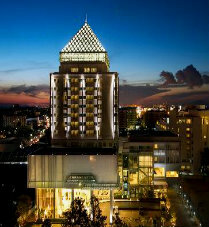 This modern luxury hotel provides the best services and amenities. 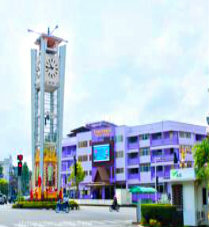 Being located next to the Central Festival, it facilitates easy access to Hat Yai’s biggest mall and attractions. 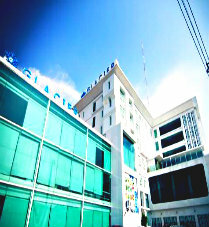 Located next to the central departmental store, Gimyong and Santisuk market, this hotel attracts more visitors and offers them warmly decorated rooms with countless complementary services. 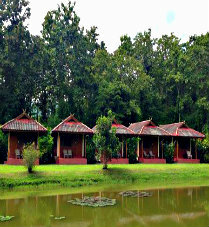 This spacious resort is surrounded by bamboo and teak forest, and offers peaceful and a natural ambiance; also, it is equipped with friendly and fluent multi-language speaking staff. 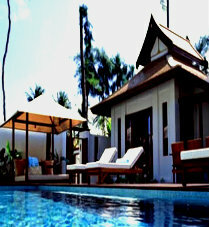 Set in a green garden, this is an all-villa resort and provide 20 exclusively designed villa in Thai Modern decor. Encapsulating the surrounding nature, it’s even a smoke-free zone. Built with a chic design encompassing traditional Lanna design, this hotel offer stylish rooms with sitting areas and balconies while ensuring utmost luxury and comfort. 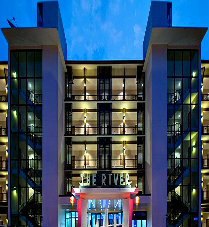 In the midst of the city, it serves with neat, clean and contemporary styled rooms accompanied by a Thai-European fusion restaurant, a pool and many complementary services. 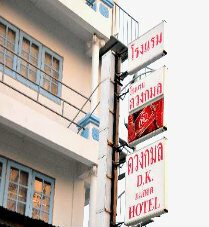 Hotel embraced with Thai Theme and a blend of smart and cozy rooms. 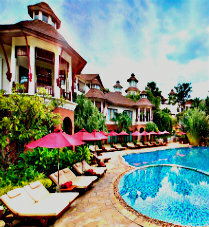 It has beautiful furniture built out of teak wood, creamy walls and peach and cherry colored cushions. 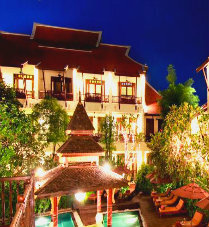 An intimate small luxury hotel, it offers Guest room with a blend of artistic and cultural heritage, expressing more of Lanna-oriental architectural style. 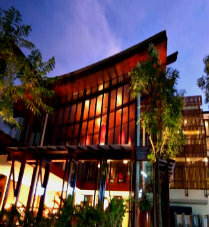 This 5-star hotel has rooms which have been beautifully crafted by local artisans. 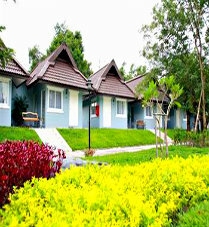 Providing all the basic amenities and lavish stay, it connects traveler more with nature and its beauty. 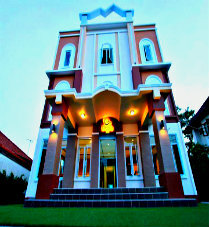 This luxury hotel with home-style residential concept serves with equipped rooms, a beautiful ambiance for a lavish stay. 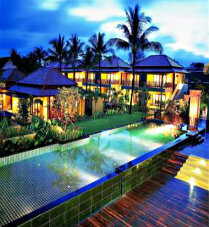 Along with the old world elegance, it offers every modern luxury. 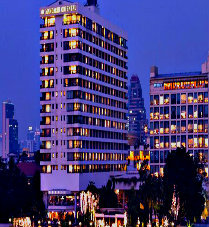 The Hotel Shangri La is one of the most luxurious hotels in Bangkok and it is located on the bank of Chao Phraya River, next to the Peninsula. 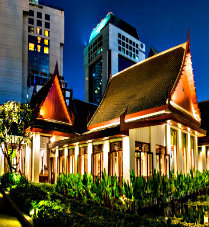 The Mandarin Oriental Hotel maintains a colonial touch which is complemented by its super-luxurious rooms decorated in Thai style. 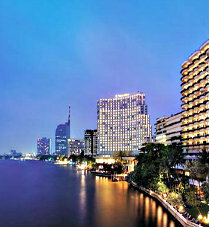 Also offers amazing views of Chao Pharya River. 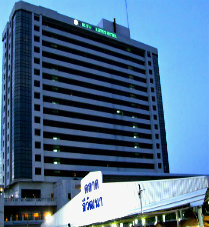 This modern hotel is located in Silom which is one of the best areas in Bangkok. 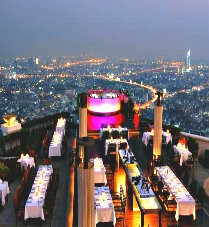 Lebua at State Tower hotel was made popular by the Hollywood movie “The Hangover 2”. 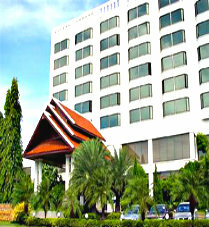 This luxurious hotel is surrounded by a beautiful garden and just a few minutes from Lumpini subway station. 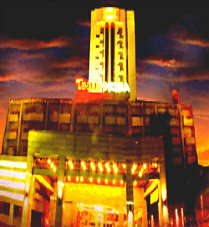 It also houses one of the best restaurants in Bangkok: Celadon Thai Restaurant.